I remember a few years back, when the ingenious, six-man tournament conceived by Showtime, aptly titled The Super Six, had been organized and announced; the contracts were newly inked and the six combatants were confirmed. Proven warrior Mikkel Kessler was rightly the favourite going into the tourney, whilst several other, well-known names were guaranteed to be excitingly competitive. 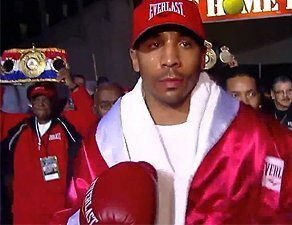 Andre Ward, an Olympic gold medallist, was somewhat of an unknown quantity back then; whilst clearly a fundamentally sound boxer, his relative inexperience coupled with a fairly thin resume (at that time), left a few question marks hanging over him. His first showing in the tournament, however, silenced any doubters, with a dominant display over the tournament’s top-pick. Kessler was “beaten up”, for want of a better explanation, en route to a technical stoppage, and despite Ward’s critics accusing him of fouling (indeed, his unintentional-yet-frequent head butts have been highlighted by his detractors throughout his career), he completely upped the stakes; not only within the Super Six itself, but throughout the entire 168lb weight class. Ward went on to win the tournament in fine style, by dominating pretty much everyone he faced. He overcame some adversity in a couple of tight spots, but by the time he held up the trophy he’d proven himself the best in the division. With some fans still calling for him to take on Lucian Bute in order to decide who was the true super-middleweight champ, it was to left to fellow Super Six finalist Carl Froch to kindly step in, and well and truly level that playing field, disposing of any argument that Bute held a claim to the throne. Ward then beat a coming-down-in-weight Chad Dawson in a supremely confident manner, before outpointing an overmatched Edwin Rodriguez. With Carl Froch left to take supremacy of the division beneath Ward, and Froch having no desire to face Ward in a rematch, it’s safe to say Ward’s business at 168 is done. Kaput. In Simpler terms for the layman, Ward has convincingly cleared out his division. And in my eyes, the only way is up. Despite his well-storied political battles in and out the courtroom with his previous handlers over the last two years, Ward has now signed with emerging promotional giant Roc Nation, and is in a perfect position to elevate himself from solid lineal champ, to a true, legendary Hall Of Famer. What he does next will be crucial in deciding this. Ward has stated recently, that he has no intention of leaving the super middleweight class. This would be detrimental to his career. With no competitive fights at 168, he must look to the light-heavyweight division for not only bigger money fights, but for more challenging contests, and thus, a more definitive path to glory. With several ideal opponents for Ward there, surely it is the right move at this stage of his career? The thing is, ability-wise, it’s not a step too far for Ward. His tricky, guileful style may not always be pleasing to the eye, but his general ring IQ and mastery of his craft would surely be stylistically tough for KO specialists Sergei “Krusher” Kovalev or Adonis “Superman” Stevenson. And the other ‘world’ champion Juergen Braehmer. Conceivably, the “Son Of God” could indeed clear out the 175lb division as convincingly as he did his current weight class, capturing all the belts, and in doing so, cementing his name in the annals of pugilistic history. One thing is for sure: if Ward doesn’t up the stakes as he did at the start of the Super Six, he’s in danger of stagnating, and grinding out the rest of his career with no more defining moments to pin point his greatness. And this would be a huge waste of talent. And a massive shame. The future is Ward’s. He just needs to reach out and take it.